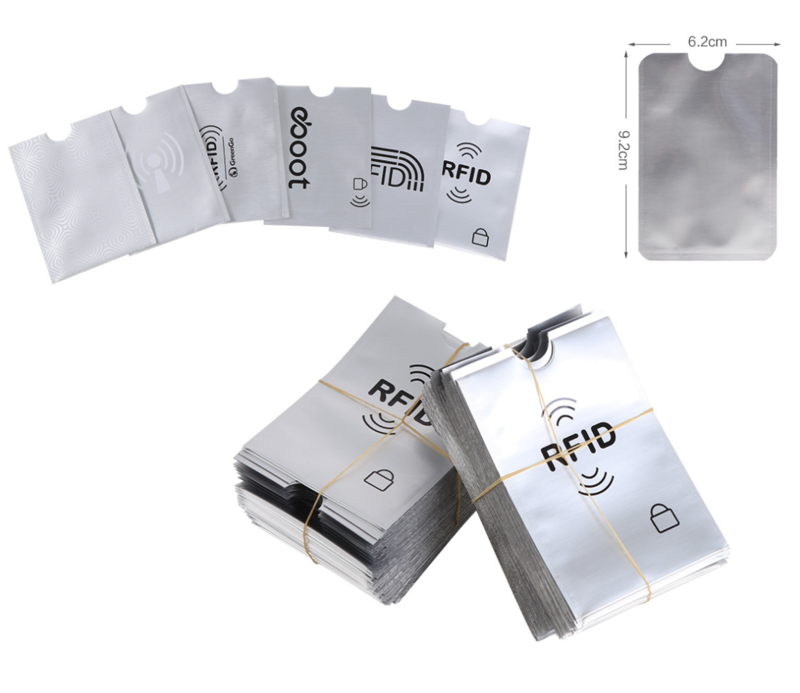 This RFID card blocking sleeve is made of aluminum foil interior with coated paper outside. PMS color matching acceptable. Features quickly scan and do payment easily and RFID sleeve protect your personal information secure from the data theft. Great item for protecting your cards when traveling and anywhere crowded. Imprint Size: 2" x 1 5/8"
Package: 50 pcs/poly bag, 5000 pcs/ctn, 30 lbs/ctn.